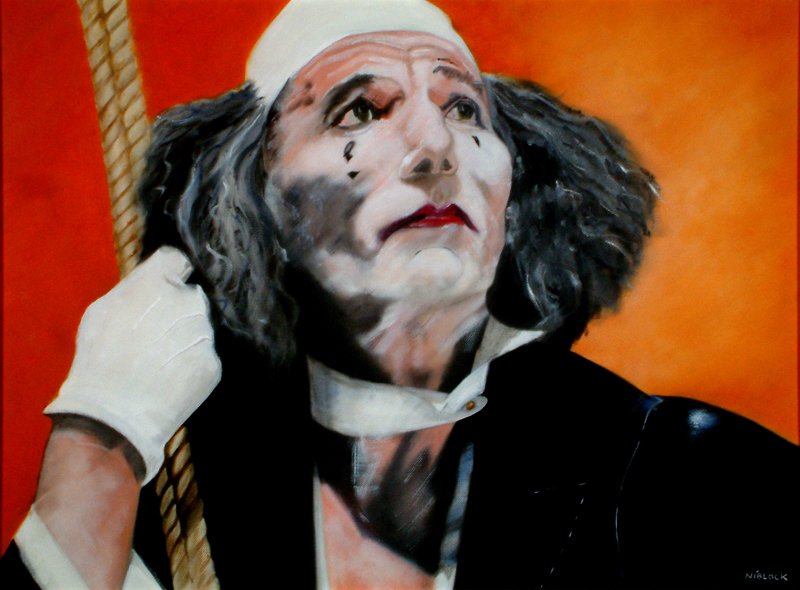 I was inspired to paint this after seeing Pete Postlethwaite perform the role of the eponymous clown in this one man show at Ludlow Assembly Rooms. It’s based on a publicity still for the show, but I decided to heighten the drama of the picture by adding a stronger background. Coincidently, a year or so later I found a buyer for the painting at the very same assembly rooms. Scaramouche, a roguish clown character of the Italian Commedia dell’arte, also features in the popular song Bohemian Rhapsody by Queen. The name was originally that of a stock character who featured in 17th century Italian farce, in which another regular character named Harlequin would beat him for his bragging and for his cowardice.